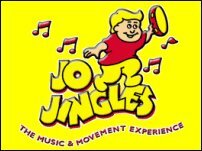 JO JINGLES - the UK's leading provider of fun, interactive music, singing and movement classes with an educational slant for babies and children aged from 6 months to 5 years of age (7 or 8 in some areas) in more than 500 centres around the UK and in Ireland. The aim of a Jo Jingles class is to enhance a child's pre-school education by stimulating their interest and enjoyment of music using a series of varied and fun-themed musical programmes. Welcome to jumping jacks! Jumping Jacks indoor softplay area is based in Lisburn, Northern Ireland. 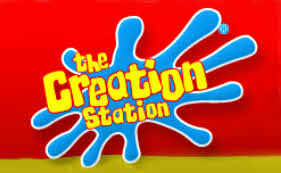 We offer a fun filled play environment for children up to 11 years of age. Jumping Jacks features; • Toddler area with mini football court, kart track area and slides. • Large adventure frame for the older children including a drop slide, rope bridge, 4 lane Astra Slide and sports area. • Themed party rooms including a Disco Room plus 150 seating Adults can relax in our comfortable café area where we provide; Televisions, Newspapers, Wifi Internet and great food and coffee. Available for group hire: Schools, Clubs, Church Groups and Private Hire. Sometimes you need an icebreaker to get things going! So if you want a party, we provide the opportunity for fun. For children's parties, we have party packs,candyfloss, and we provide party entertainment with face painting and balloon modelling. Our balloons are very popular at parties and are even more in demand at weddings - we arrange stunning and original wedding balloon displays. We have lots of party equipment for hire - Bouncy Castles, inflatable games like Bungee Run, and inflatable slide, wacky machines like the Unrideable Bike, Sumo Wrestling suits for young and old, and Lasersport clay pigeon shooting. 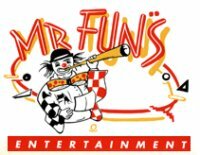 Mr Fun's Entertainment is based in Lisburn, near Belfast in Northern Ireland. Wherever you are in Ireland, we can meet your needs for both private and corporate entertainment. Fun and inspiring award winning arts & crafts classes for babies and children upto age 11. Baby Discovery & Little Explorer (upto 5 yrs) sessions currently running at Trinity Community Venue, Knockmore Rd, Lisburn and Crumlin Community Centre. Also the Ultimate Fun Arts & Crafts Birthday Party, choose from many exciting activities with free party bags and invitations supplied - we supply the fun with no mess or stress for you! Please call Cath for further details.